On Monday morning 12th July, the Queen Mother and the Princess attended Divine Service at the Cathedral of St. Mary and All Saints (above), which is the Cathedral Church of the Diocese of Mashonaland. The Cathedral stands on the site where the Pioneer Column outspanned in 1890. The first church was a thatched hut, the second a wood-and-iron building. The architect, Sir Herbert Baker, drew his inspiration for the design of the present building, which was started in 1913, from Ravenna, in Northern Italy, where the influences of both Basilican and Byzantine styles have been felt. 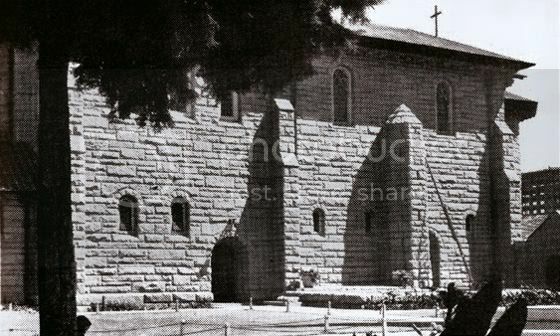 The following article titled "Cathedral's Historic Site", was extracted from the book Know Your Rhodesia and Know Nyasaland - 300 selections from the Rhodesia Herald. 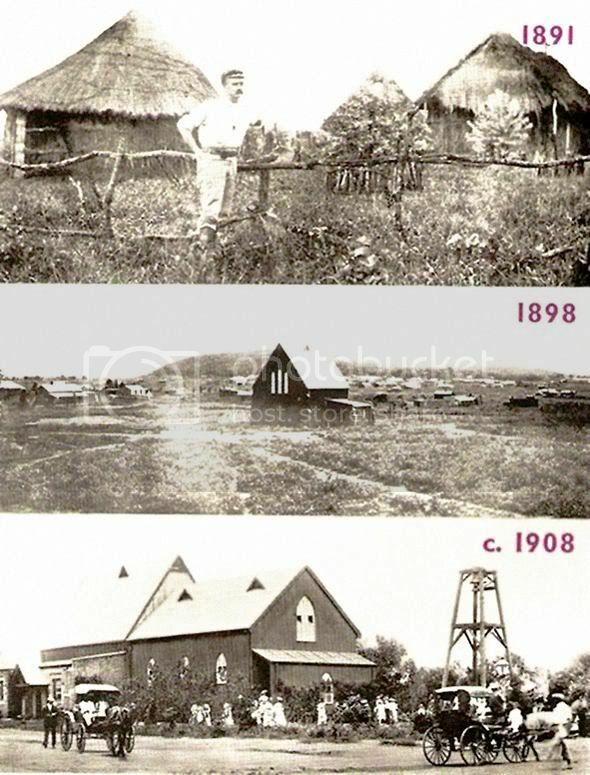 The additional photographs give a pictorial history of the development of the Church, evolving from the original thatched hut to the present imposing Cathedral. The construction of the Cathedral, stretching over 30 years, was carried out in various phases as the required finance became available. The 'Cloisters', an annexe to the Cathedral, was essentially conceived as a war memorial, cementing the Cathedral's links with the history of the country. This is however the subject of another story. 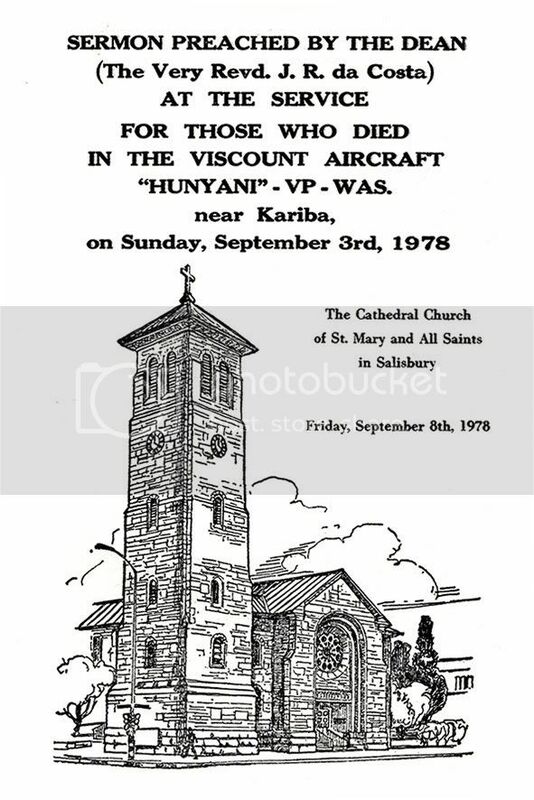 On Friday 8 September 1978 the Reverend John da Costa, Dean of the Catherdal, conducted the memorial service for those who died in the Viscount aircraft 'Hunyani'. His sermon, subsequently known simply as the 'deafening silence', gave voice to thoughts and feelings of many of our countrymen at the time. The sermon has made its way into the contemporary history of the country. The view above of the Cathedral is from the cloisters to the east. The Anglican cathedral of St. Mary and All Saints at Salisbury stands in Second Street on an historic site. So we learn from a letter written in 1920 by the late Sir Frank Johnson, leader of the Pioneer Corps of 1890. "It should not be forgotten," he says, "that we actually 'outspanned' on the site now occupied by the Cathedral while we built Fort Salisbury on what is now Cecil Square. "I doubt whether any other cathedral in the Empire can lay claim to having been built on a spot where the first beginnings were made." A thatched hut and then a wood-and-iron structure were the forerunners of the present building. The original design was entrusted to Sir Herbert Baker, who chose for material the granite so characteristic of the country. 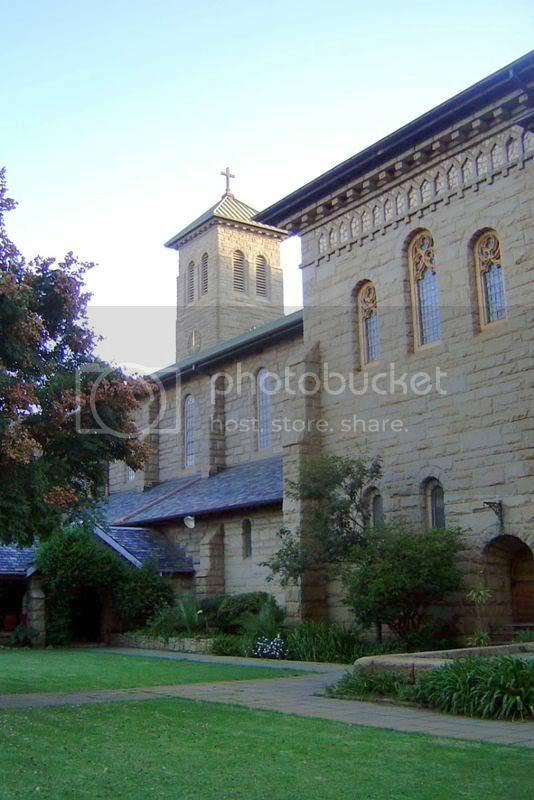 The foundation stone was laid in 1913 and in 1914 the choir and sanctuary were finished. The foundation stone of the nave was laid by the late Duke of Kent in 1934, the first three bays having been built as a memorial to those who fell in the 1914-18 war. As a memorial to those who fell in the Second World War, the cloisters were built, to designs prepared by the late Major W. J. Roberts, the Diocesan Architect. Completion of the Cathedral depends on the availability of finance, but the Dulverton Trust is to give the bell tower and an anonymous churchman has promised a peal of bells. The foundation stone of the tower was laid by the Archbishop of Canterbury in 1955. Nick Baalbergen has made these photos available for his private collection and one (as marked) by Dudley Wall, to support the article. 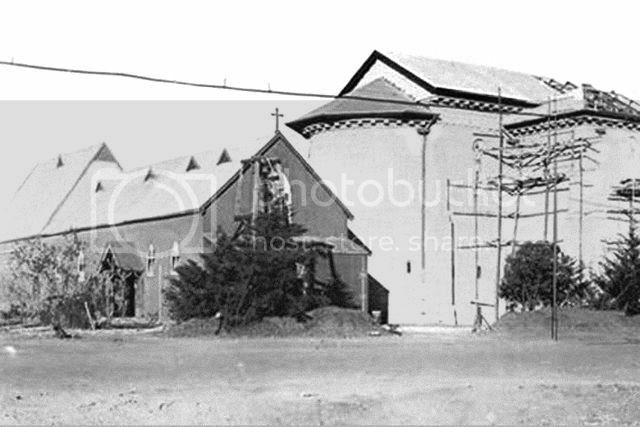 The Anglican Church initially sited in 1891 on Salibury Street between Albion and Speke before it was moved to its current site. The Herbert Baker designed Anglican Cathedral, started in 1913, nears completion of Phase 1, next to the old church later demolished. 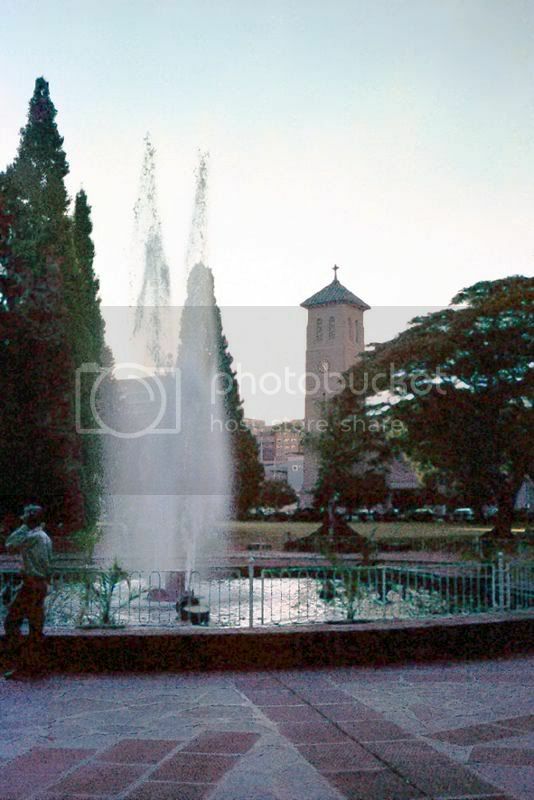 The Anglican Cathedral as seen from Cecil Square, Salisbury, 25th April 1979. 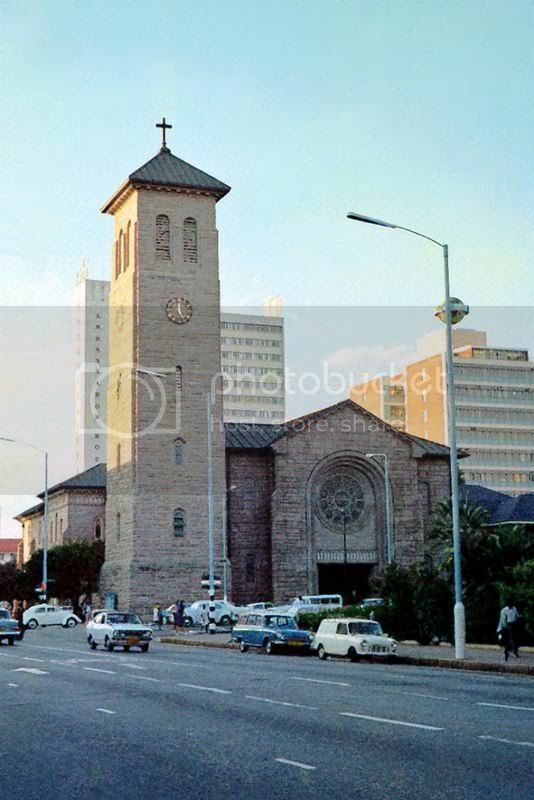 The Anglican Cathedral on the corner of Second Stree and Baker Avenue looking North. Salisbury 25th April 1979. FOR THOSE WHO DIED IN THE VISCOUNT AIRCRAFT "HUNYANI" - VP - WAS. near Kariba, on Sunday, September 3rd, 1978. Thanks to Nick and Dudley for the photos and assistance.